Joanne's Northern Lights Dance Co., provides a recreational but professional dance and gymnastics program in a fun and safe family atmosphere. We teach students ages 3 and up and have variety of classes available Monday through Saturday. All are welcome to join us at our public open house and registration starting, Tuesday August 30th from 3-8 pm. Class space is limited, early enrollment is advised. 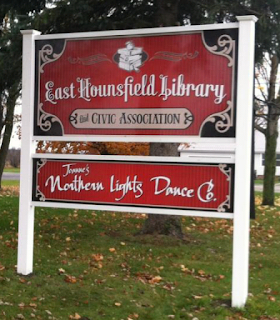 Joanne's Northern Lights Dance Co. will be celebrating 27 years in business! Come join us for our 2016-2017 school year. Classes start the week of September the 12th! OFFICIAL OPEN HOUSE 2016 FALL CLASSES STARTING SOON! FROM WATERTOWN HEAD OUT ARSENAL STREET ON ROUTE 3 TOWARDS SACKETS HARBOR, PAST THE SALMON RUN MALL. AFTER THE SPEED ZONE CHANGES TO 55 MPH WE ARE AT THE NEXT INTERSECTION. ( LESS THAN ONE MILE) WE ARE ON THE CORNER OF OLD ROME STATE ROAD AND AND RTE. 3 OUTER ARSENAL STREET RD. WE ARE ADJACENT FROM JEFF BULK CHEESE STORE. LOOK FOR THE WHITE BUILDING ON THE CORNER WITH A RED ROOF! DVD'S from the show are available at the studio today 10:30 am till 7:30pm. Show dvd's may also be picked during open house or in the fall when classes start which will be Monday, September 12th. OPEN HOUSE DATES WILL BE ANNOUNCED SOON!